Former Ghanaian footballer, Abdul Karim Migima, has passed on. 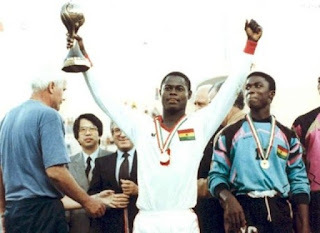 Confirming the sad news, family sources say the former Ghana U17 player would be buried on Thursday—with accordance to Islamic customs and traditions. The midfielder played for Great Olympics and Okwahu United in the Ghana Premier League. Abdul Karim who would have aged 44 on December 5, also played for a German football club. During his retirement, he was a coach for a juvenile side in Korle Gonno and also a tailor.